Thank you for another successful #GivingTuesday! This day of giving is a community effort, and we're grateful to have you as a part of our Lakeside family that is committed to keeping this place beautiful for years to come. This year, 206 families joined hands to help raise more than $97,000! Over half of the donations were given to this year's centerpiece project: the revitalization of the Steele Memorial Bandstand/Gazebo. Dedicated in 1979, the Gazebo has received only minor updates since then. Thanks to you and your generosity, we'll now be able to update this landmark with several improvements, including fresh paint, new benches, updated landscaping and grass to even the ground. Your gifts will help enhance the programming and milestone experiences at the Gazebo for years to come. On #GivingTuesday, Lakesiders also gave to the Lakeside Annual Fund in support of the Chautauqua program, endowment, Rhein Center, Lakeside Symphony Orchestra, Hotel Lakeside, youth programming, recreation, grounds and gardens. Gifts were given in memory of loved ones and in honor of birthdays, anniversaries and recent weddings. Regardless of size, each gift helps to transform the lives of Lakesiders by providing opportunities for renewal and growth while nurturing mind, body and spirit. We pause today to give thanks for the gifts and blessings Lakeside has received on #GivingTuesday and every day. Thank you for being a part of our Lakeside family. Thanks to our social media outreach, which shared the #GivingTuesday hashtag, many individuals may have heard about Lakeside for the first time. Throughout the day, Lakesiders shared stories of gratitude, reflected on blessings received and encouraged others to give. 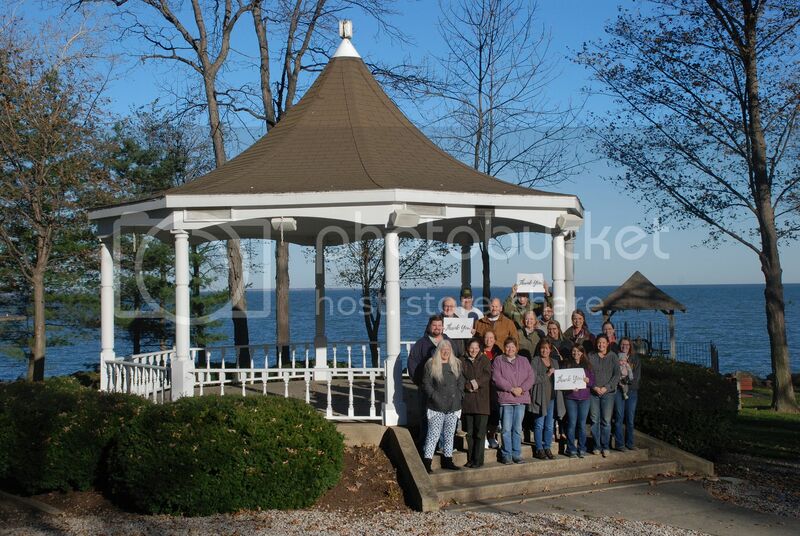 "My husband and I can't wait to see the improvements to the Gazebo! This is where we got engaged, so it's a very special spot for us." "I was privileged to perform in a brass ensemble for the dedication of the Steele Memorial Bandstand/Gazebo. Glad I can help a little in getting it back in shape." "We're friends with the Steele family, and this will be a special gift that we're making this year to help enhance the Gazebo. The Steele family helps welcome us to Lakeside every year."